The Cultural Affairs Program at Hudson Valley Community College announces three, not-to-be-missed speakers during March: June Millington, guitarist for the acclaimed 70s all-girl rock band, Fanny; Erin Harkes, local favorite singer/songwriter and now stand-up comic, and Alison Bechdel, creator of the ground-breaking comic strip "Dykes to Watch Out For." All three programs are open free to the public and held in the Bulmer Telecommunications Center Auditorium on the Troy campus. Thursday, March 8 from 7 to 8:30 p.m.
June Millington, a Filipino American guitarist, songwriter, producer, educator and actress, may be best known as the lead guitarist for Fanny, the band she co-founded in 1970 and the first all-female rock band to release an album with a major label (Reprise). Fanny had five albums and achieved two, top-40 singles on Billboard's Hot 100. In 1986, Millington and Ann Hackler founded the not-for-profit Institute for the Musical Arts (IMA), now based in Goshen, MA, to support women and girls seeking careers in the music business. Millington reads from her autobiography, "Land of a Thousand Bridges: Island Girl in a Rock 'n Roll World," plays live and answers questions from the audience. Thursday, March 15 from Noon to 1:30 p.m.
Singer/songwriter Erin Harkes, for more than a decade one of the Capital Region's most sought after performers, decided in 2012 to try her hand at stand-up and her success is no laughing matter. Voted "best comedian" by Times Union, The Alt and Metroland readers over the past four years, Harkes performs all over the country, in Toronto and Montreal and has appeared at the Boston Comedy Festival, in Season 3 of Laughs TV on Fox and most recently opened for Demetri Martin. She produces and hosts Chicks Are Funny, a monthly show at the Funny Bone Comedy Club in Albany. She talks about how she navigated past the early stages of a comedy career to become a full-time performer, leaving her day job behind. 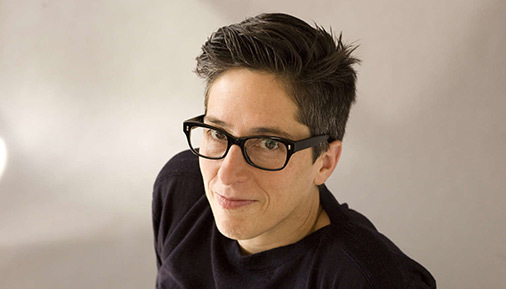 Friday, March 23 from 11 a.m. to 1 p.m.
Alison Bechdel, creator of the comic strip "Dykes to Watch Out For" (1983-2008), one of the earliest portrayals of lesbians in popular culture, first earned critical and commercial success in 2006 with "Fun Home, A Family Tragicomic." That 2006 graphic memoir was adapted for Broadway and won the 2015 Tony Award for Best Musical. "Are You My Mother? A Comic Drama," was published in 2012. Bechdel's direct social commentary and drawings have reached a wide and disparate audience of readers, now fans, and earned the Oberlin College graduate a MacArthur Foundation Fellowship, aka "Genius Award," in 2014. DTWOF was resurrected briefly in 2016, allowing Bechdel's characters to react to the outcome of the Presidential election, and single strips now appear when "inspiration strikes" the artist. A Q&A session and book signing follow Bechdel's talk. This event is co-sponsored by the Cultural Affairs Program and the English, Foreign Languages and English as a Second Language Department.